Twenty-eight per cent of rheumatoid arthritis (RA) cases could be prevented if everyone ate one or more servings of oily fish a week, claim scientists from Sweden. The experts, from the Karolinska Institutet and Karolinska University Hospital in Stockholm, suggest eating more than 0.21g of omega-3 fatty acids a day – which is approximately the amount you would consume by eating a portion of oily fish a week – could halve your risk of developing RA. Oily fish include mackerel, salmon, sardines, pilchards, herring, trout and fresh tuna (not tinned). The study, published in the medical journal Annals of the Rheumatic Diseases, followed more than 32,000 Swedish women born between 1914 and 1948. It assessed the diets of these women in 1987 and 1997, asking them to list how often they ate certain foods including lean and oily fish. Six years after the second assessment, the researchers contacted the women to find out if they had developed RA. A total of 205 women had developed RA. But the women whose diets had included more than 0.21g a day of oily fish in both 1987 and 1997 were found to have a 52 per cent lower risk of RA than those who had eaten less oily fish. Current healthy eating guidelines in the UK suggest that you should eat at least two portions of fish a week, one of which should be oily fish. 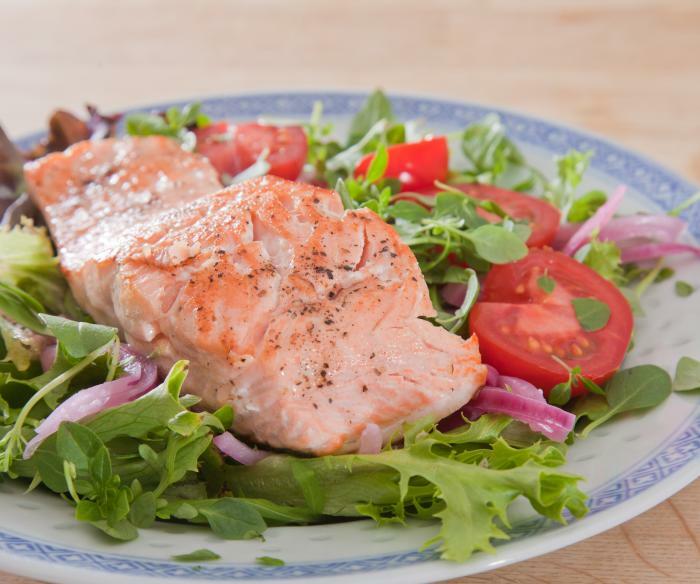 Babies, children and women who are pregnant, breastfeeding or planning to start a family shouldn’t exceed two portions of oily fish a week, but everyone else can eat up to four.